We have been in many ways through a strict and vigorous routine, which is you could say spiritual discipline. This whole place is a temple and of course this temple is of course the New Jerusalem. I, Sanandez used to do it in Jerusalem and argue with the Rabbis, I often used to point out to them that they had missed the point in the Atura, and that the Atura really was the Atura of light, that their interpretation of it was not really correct. Of course various people have written in this record that you know as the New Testament of the Bible of some of the times that I made them very angry. The rabbis and the priests used to say how dare this young boy from this cult of the Dead Sea come and challenge us. For me I didn’t challenge them at all as it was from the bottom of my heart. Of course as time went on, as I was trained in different countries and by different people, I was being prepared for what is known now as my Palestinian ministry; for this ministry of which I would be known as Jesus. It is true I came to the earth at that to teach people about love and forgiveness. I am not the creator of the Christian religion, just the same as Abraham is not the creator of the Jewish religion. My mission was to teach people through healing about love and forgiveness. It seems that I was very good at my healing. It is a mere observation, but I notice that many people still speak of it now. So if they still speak of it 2000 years later, I must have done some good. Through the knowledge through my training and preparation, I was learning how to be a channeller and ground energies, how to live in non-judgement and non-condemnation and when I step forward as this being that we take on as the Messiah, I integrated fully the energies of this being as you know as the Buddha. It was made clear that is what spoke through me, just the same as I, now Jesus Sanandez that speaks through this one. It was the energy of Buddha that came through, my heart, my eyes, my hands in my healings; just the same as it is for you the energy of Shamballa, the collective conscientiousness of the ascended one. So now we are going to do a meditation. During this mediation we are going to work on bringing you more of these energies of Binaura. 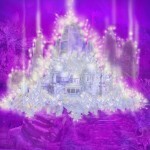 I’ll explain to you what Binaura is; it is the energy of the brothers and sisters of light. For you also, we are going to work with as well the energy, of what is known as the Yod Spectrum. This Yod spectrum is the complete spectrum of energy that relates to the ten lost tribes of Israel. When we talk about the ten lost tribes of Israel, we talk about ten aspects of the children of light, the Binaura, that is still not integrated on the planet. Also I am going to bring you the package of information from still lost Melchizedek scrolls. So if some of you wish to lie down upon the ground, that is perfect, if you don’t that is also perfect. So in this moment, I call upon the Galactic brotherhood and sisterhood of light, I call upon the paradise sons and daughters of light, I call upon your I am presences and your Godselves. As you allow these energies to integrate through you, we are also going to start activating your Adamkadam light bodies. In this moment, I call upon Yahwah and I ask the eye of Yahwah to start to look into each and every one of your hearts. 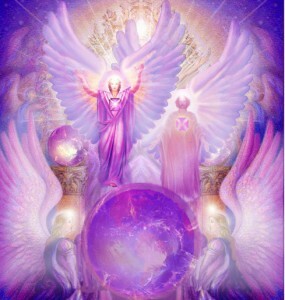 So as the Binaura, the brotherhood and sisterhood of light in other dimensional realities start to gather, I ask of you to see, feel, allow and imagine this light to start to flow into you. This light is the total energy of the Yod spectrum. This Yod spectrum has ten rays, as these become activated in this dimension, these rays activate your souls and as is this full spectrum of energy is activated within your souls, it calls in the total energy of the twelve tribes of the true Israel, your twelve chakras move into harmony and balance in this moment. As these twelve chakras begin to become into harmony, I start to bring to each and every one of you, the Chakina light force, and as this Chakina light force starts to manifest within you, it connects you to the Chakina universe of the father. I would just like you to allow and move your attention to be wherever it would like to be. Your individual I am presences, those where you focus your attention. We are going to move this attention to other dimensional realities, as you move into these dimensional realities, the Yod spectrum starts to manifest in this other dimensional reality, it manifests in the form of mandellas of light and colour, the colour like maybe you have never seen before, cosmic colours. This energy of Yod spectrum, you could say is like looking at a white light through a prism. This is a cosmic prism that splits light into cosmic colours and cosmic rays. These cosmic rays are now starting to manifest through each and every one of your soul channels and as they come through these channels, they start to manifest into this cosmic colour spectrum, within your physical bodies and your twelve chakras. Just see, feel, allow, imagine these cosmic colours integrating and permeating with the crystalline structure of your physical bodies, of your Adamkadam bodies of crystalline light. Now with this Yod spectrum and Chakina light force. I would like you all as you are grounded into your bodies, into the totality of your multidimensional beings, to allow this energy to radiate from you. Each and every one of are radiating mandellas of pure light, transmitting the information and the energy of the Yod spectrum and as this spectrum radiates from you, it flows all around this planet into every place in the multidimensional created universe and the same time it moves into these mountains and simultaneously it activates the pockets of information in the Melchizedek scrolls which have not yet been found. Now I would like you all to create another focus in your hearts and minds, let us focus on that golden dome that we saw. I want you to have nothing in your minds except for the concept of the transmission of the Yod spectrum, and as this Yod spectrum starts to interact with the gold, it is transmitted into the energy vortex between the golden dome and the rock, downwards and downwards into the earth and as it goes into the earth it also passes through the energies of the hearts and minds of all the beings that are living in this dome in the energy vortex. In this moment I ask you to call upon your I am presence. This day is a Jewish festival, it is a day that is put aside for the calling in of each individual of the I am presences. Jewish people all over the world are calling upon their I am presence to integrate with them. It is a very important festival that these Jewish people are created, A lot of intent, a lot of energy. Let us bring that aura of the brothers and sisters of light with them in this calling in of the I am presence. So I ask you all now to call upon your I am presence, a very easy way to do this is to say ‘Hey, my glorious I am presence, my true self, I now ask you to integrate that glory with this physical and all the bodies between. Remember that each and every one of you all are connected with your I am presences anyway, but of course you are not always listening, it would be a very nice thing for us all upon the earth if your I am presence was conscientiously brought in to all your multi-dimensional bodies and anchored within your physical body. So I ask you all to call on your I am presences ‘ I am ready to integrate in physicality with you. I am ready to live fully within this world and all the other realms, in all those realms I spoke about in the teachings of my Palestinian ministry. In my fathers house there is many mansions, I spoke of levels of conscientiousness, levels of creation, levels of light, of love so call upon you glorious true souls now. Integrate, Integrate, Integrate. We will give you some moments to do this. A lot of us have modern technology, people communicate with these devices, but yet in reality, we never communicate with each other at all. Mostly, these devices are used for communication, but have no importance in creation, they are only important to the ego. For many the devices prevent them from real communication, of the heart, with the minds and conscientiousness of others. Of course, I’m not saying that they are worthless for they do present to you many opportunities.